Content: 3.2 gr / 0.11 Oz. Get ready-to-wear pop! Sheer sensation of vibrant colors. 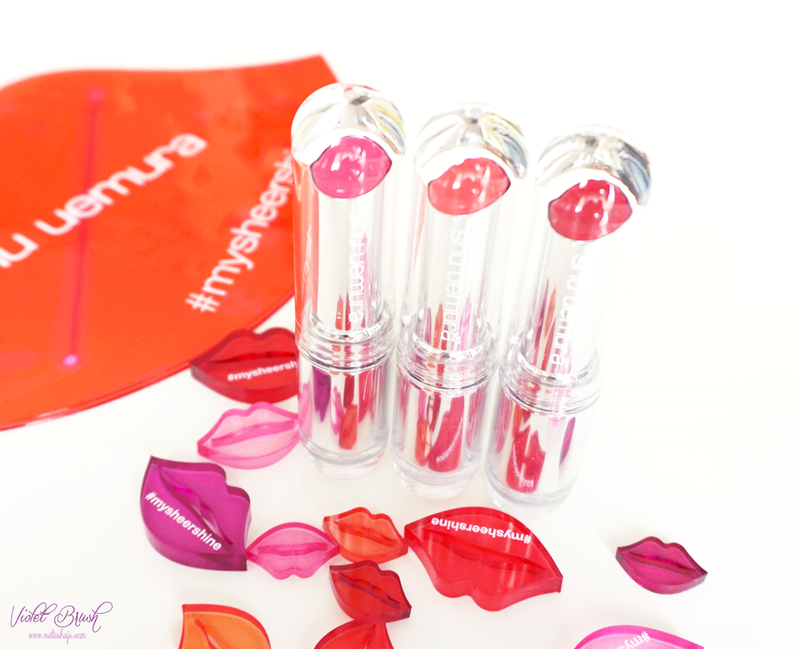 Shu Uemura's Rouge Unlimited Sheer Shine is a lightly melting balm stick infused with vibrant hybrid pigment, creates vividly glowing and transparent 'colored glass' like finish on the lips. A fusion of natural emollients provides superb moisture and ultimate comfort. 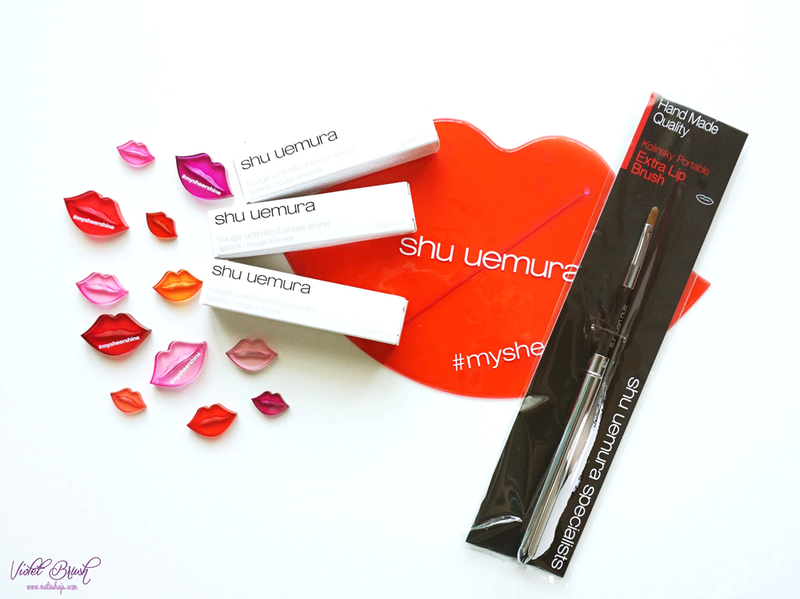 Personally, I think it's quite hard to differentiate the type of Shu Uemura's lipsticks since they always have the same packaging. However, it still looks classy anyway. It's clean and minimalist, very much my style. 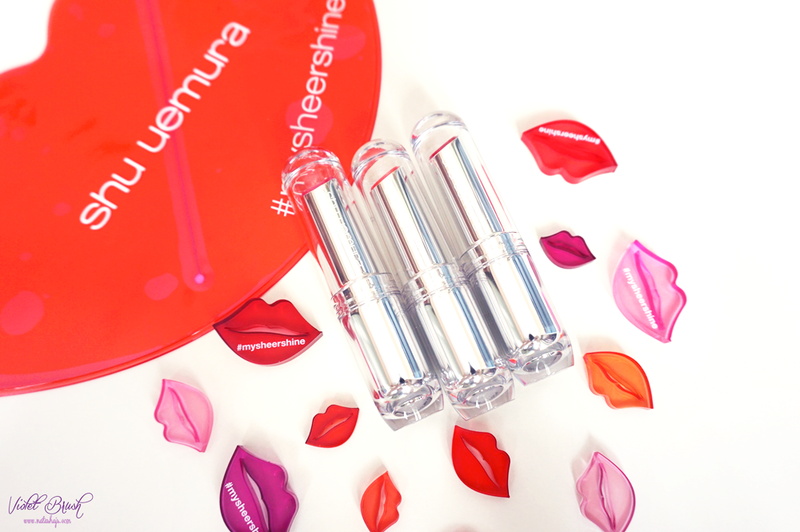 And just like any other Shu Uemura lipsticks, Shu Uemura's Rouge Unlimited Sheer Shine has this slanted tip without pointy edges, which I think is a disadvantage for those who have small lips. However, I have no complain to that. The shape of the lipstick fits my lips just fine. 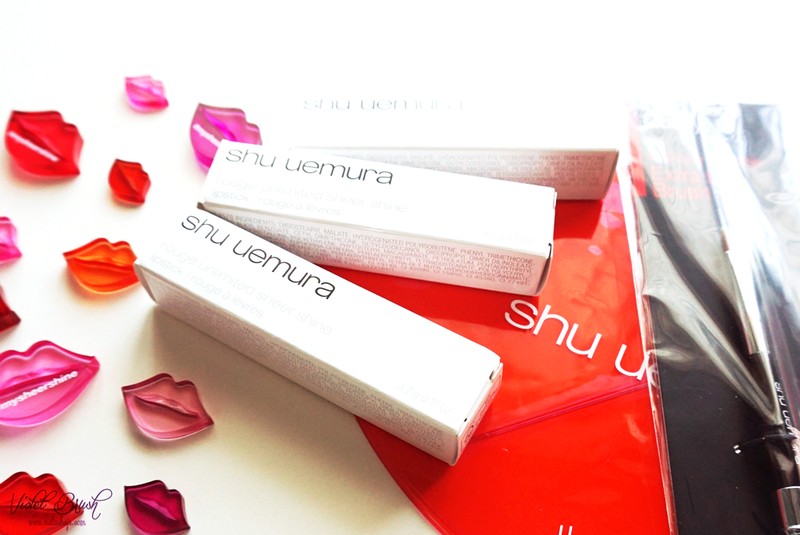 Texture-wise, Shu Uemura's Rouge Unlimited Sheer Shine certainly doesn't disappoint. 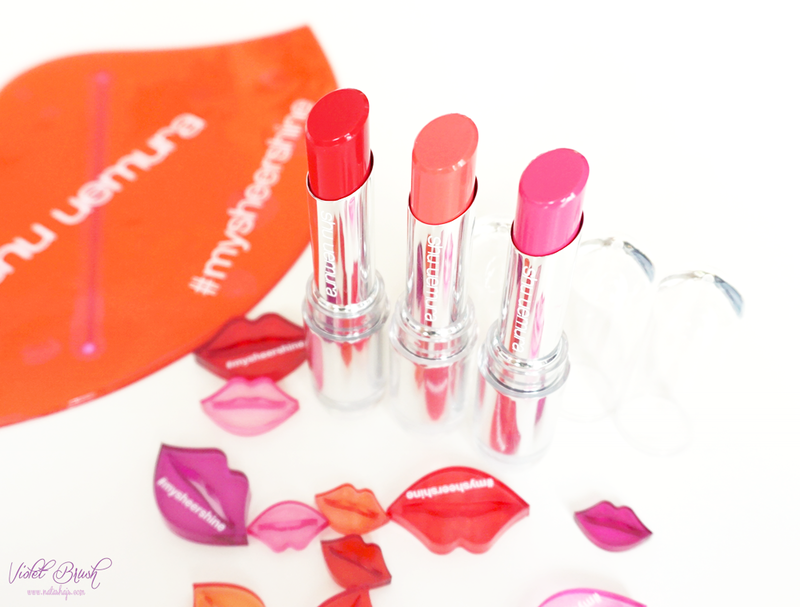 I always have sensitive lips that cracks easily but Shu Uemura's Rouge Unlimited Sheer Shine keeps the moisture on my lips well, no chapped lips at the end of the say. It has this satin finish. 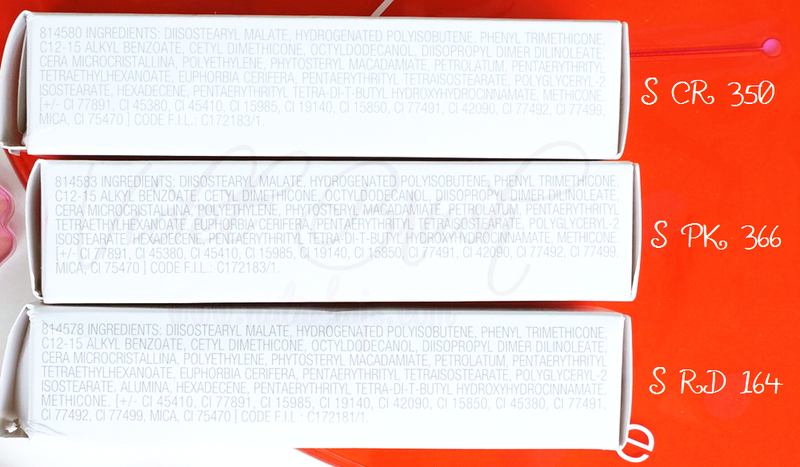 What I love the most from this lipstick that it doesn't transfer that much when I eat or drink. 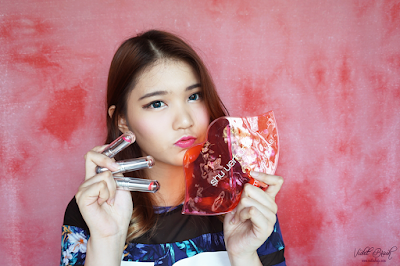 In addition to that, Shu Uemura's Rouge Unlimited Sheer Shine does surely live up to its claims, the color is very vibrant and pop with good staying power too. It lasts about 4-5 hours without eating but surely, you need some touch up after you have your meal. 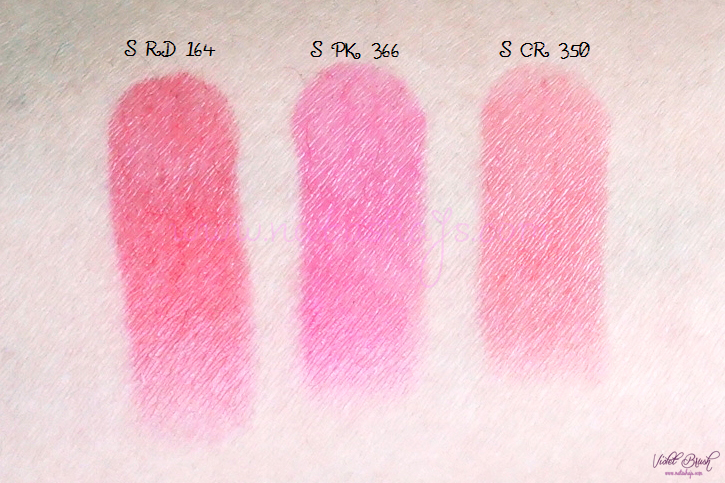 Out of the three shades that I tried, I surely love S CR 350 the most. As you might know, I like to have bright lips to brighten up my complexion but sometimes bright lips could make me look older than I actually am. However, since this shade is not bold color but still bright anyway, I could only love this shade more. 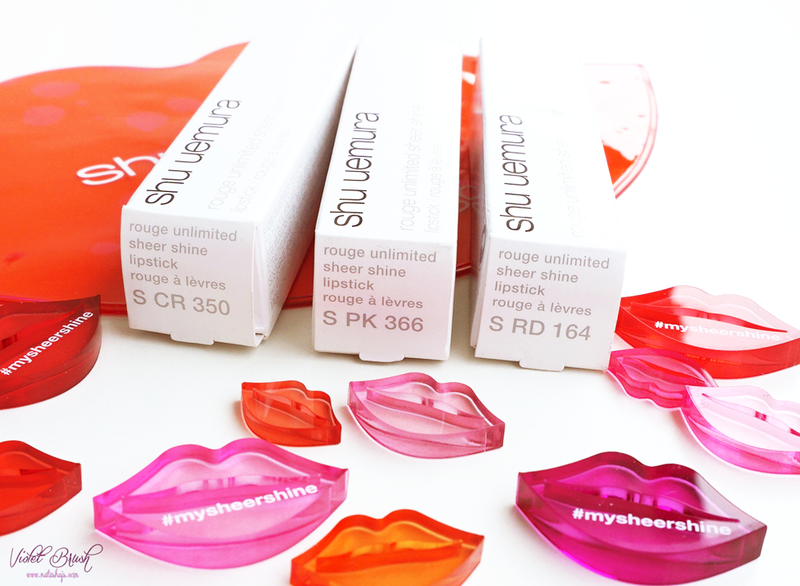 Shu Uemura's Rouge Unlimited Sheer Shine is now available on Shu Uemura Indonesia! You can visit Shu Uemura boutique at Emporium Pluit or Shu Uemura's counters at Sogo, Lotte Shopping Avenue, or other department stores. Semua warnanya cantik sih.. tapi aku suka RD 164 warnanya cantik banget..!! jadi pengen beli dehh..!! aku naksir aksesoris bibir bibirnya. :D hahahaha..